After begrudgingly getting up at 5 am we were quickly whisked away to a restaurant to pay for the flight and eat a bit of breakfast while everyone on our balloon was collected. Soon enough we were back in the minibuses and driving in convoy out along dirt roads to the takeoff area. It was still pitch black at this point, and all around there were flashes of coloured light as hundreds of balloons were being inflated. It was a bizarre experience and really felt like you were in a movie (think car chase scenes in Twister crossed with some kind of alien invasion film). Once we got to our balloon we had a few minutes to watch it being inflated. I fired off a few quick shots, but as I was shooting handheld and quickly trying to adjust my settings only a few came out. After an ungainly climb into the basket we were off… and as we rose out of the valley we soon realised that the whole sky was filled with balloons. The weather the day before hadn’t been good and flights were grounded, so there were 150 balloons in the sky that morning. To say it was spectacular is an understatement. We drifted low down over the valleys for a while before climbing up to around 800 metres. The only way I can describe the view was epic. The patterns in the landscape were fascinating and it was a (mostly) tranquil experience, with just the noise of the burner breaking the silence. The only annoyance was the couple next to us in the basket, who decided to film a video of themselves on their phone accompanied by R Kelly’s “I Believe I Can Fly”… the entire 5 minutes and 23 seconds of it. You couldn’t make it up. After an hour of spectacular views we descended back into the valley and landed with expert skill right on the trailer! The crew make a bit of a fuss of you at this point, and you get a certificate and some fizz to celebrate your flight, which isn’t normally my thing but was a pleasant end to the journey. As for practical tips for photography – you’re going to be shooting handheld (even if you could fit a tripod in the basket it wouldn’t help) so you really need to ramp up your ISO to get sharp images. You’ll also want a wide-angle lens on at the start, then if you have one, a long lens when you get up higher so you can pick out details and patterns in the landscape. If your budget doesn’t stretch to a balloon ride, the spectacle of all the balloons each morning is still worth photographing from the ground. 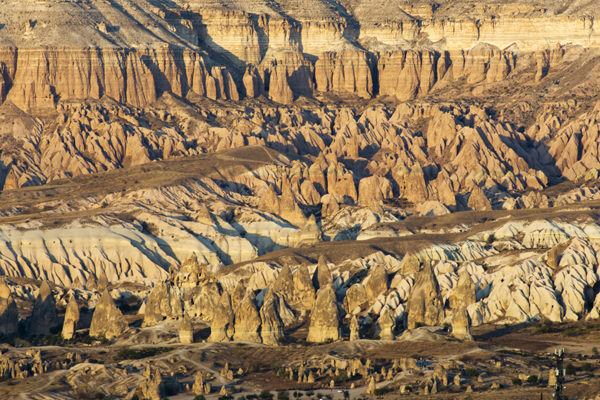 Just head for any of the viewpoints around the town of Goreme. 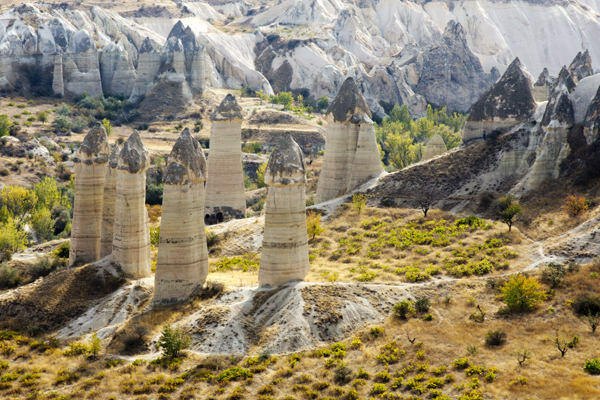 Love Valley – a pretty valley filled with… ahem, phallic-shaped rock formations. 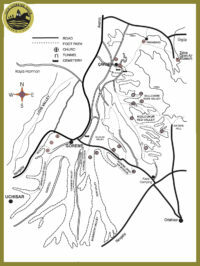 Arguably the best place to shoot it is from the viewpoint on the ridge above, looking down into the valley. You can also walk through it, or get a taxi to drop you off in the valley and walk back out to the main road. Red Valley – named due to the red hue of the rock it’s well worth a visit and there’s a wonderful viewpoint above this valley to take it all in from. This is a perfect spot for sunset as you’re looking west. A steep trail leads from the viewpoint down into the valley if you want to explore further. Rose Valley – next to Red Valley and rarely visited. You can walk down into it from the Red Valley viewpoint, or from Cavusin. We got a rather gung-ho taxi driver to drive us right up the dirt track through the valley, stopping at interesting looking places along the way! Devrent Valley – most visitors stop here to take photos of a rock shaped like a camel. Seriously. If you’re happy to explore the rugged terrain on foot it’s worth a stop, otherwise I’d give it a miss. Pasabagi – again, this is a very touristy location, but has a lot more about it than Devrent Valley, including some impressive fairy chimneys. Uchisar Castle – although the castle itself isn’t that photogenic, it’s the highest point for miles around and the view from the top is expansive. 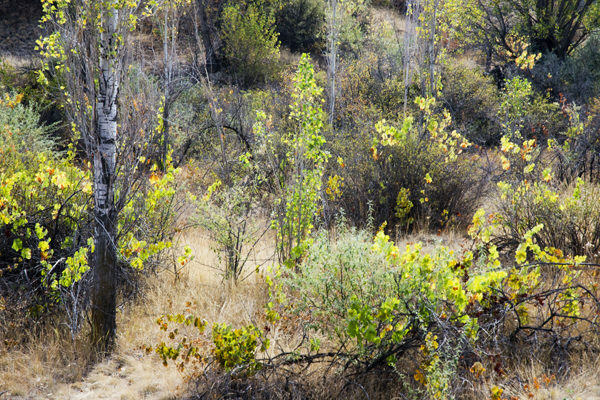 Take a long lens to pick out details in the landscape below. Goreme Open Air Museum – this popular valley of fairy chimneys and cave dwellings is a UNESCO World Heritage Site. 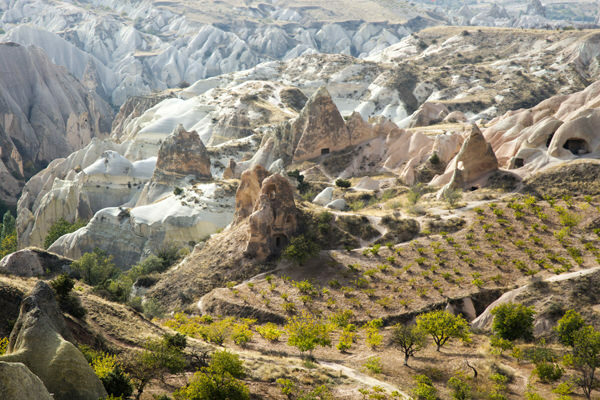 The landscape here isn’t that anything unusual for Cappadocia, but it does have a number of Byzantine cave churches with well-preserved frescoes. Unfortunately, you’re not allowed to photograph them, but they are fascinating nonetheless. Entrance is 45 TL and in my opinion it’s worth the extra 15TL to visit the Dark Church – the ceiling is a masterpiece. Zelve Open Air Museum – this site is far more interesting for landscape photography than the one in Goreme. It’s much larger and also much quieter. It consists of two valleys that are riddled with cave dwellings and a stepped paved path runs through the site, making it an easy walk. Entrance costs 25TL. If you’re a keen walker, this website has some great suggestions taking in some of the locations above. You can pick up a walking map from hotels and tour operators, which is useful to get your bearings, even if you don’t plan to do any walking (I’ve included a copy of it in the gallery). Be aware that it’s not the best map in the world though. For example, Aktepe Hill is actually miles away from where it’s marked on the map – that spot is actually the Red Valley viewpoint (also known as “sunset point” or “panoramic point”, although there are lots of viewpoints with these names!). 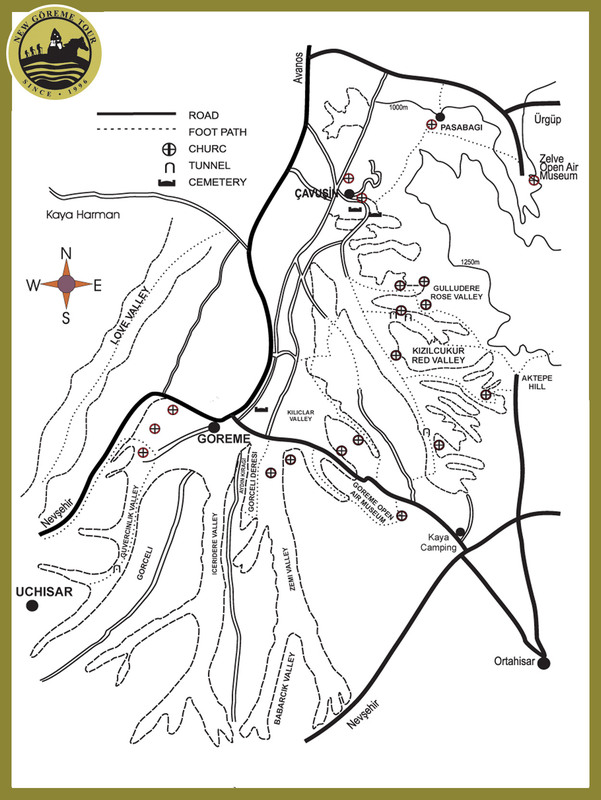 The Love Valley viewpoint also isn’t on the map at all – it’s on the west rim of the valley near the letter “y” of “valley” and there’s a road to it from the north. A word of warning – Cappadocia is very popular with tourists, although they are mostly concentrated around the main sights. At all of the viewpoints you’ll find the usual trappings (cafes, souvenir shops and heart shaped swings for the Instagram-mad visitors to get that perfect selfie), but venture just a short walk away from any of them and you’ll find practically no-one. 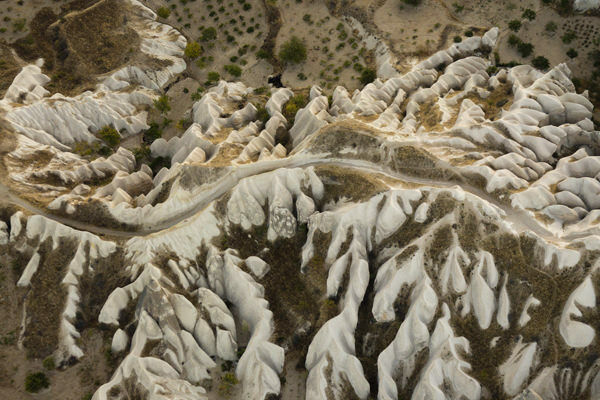 There are two airports for Cappadocia – Kayseri (ASR) and Nevsehir (NAV). There are no direct flights from the UK so you have to connect, usually in Istanbul as most flights are with Turkish Airlines or Pegasus Airlines (the Turkish equivalent of EasyJet). By the way, you need a visa to travel to Turkey. It costs $20 and you can apply online at the official website. Your hotel can arrange an airport transfer for you. This costs around €10 for the airport shuttle bus or €65-85 for a private transfer. The transfer takes 30 minutes to an hour, depending on which town you’re staying in. For more details see here. 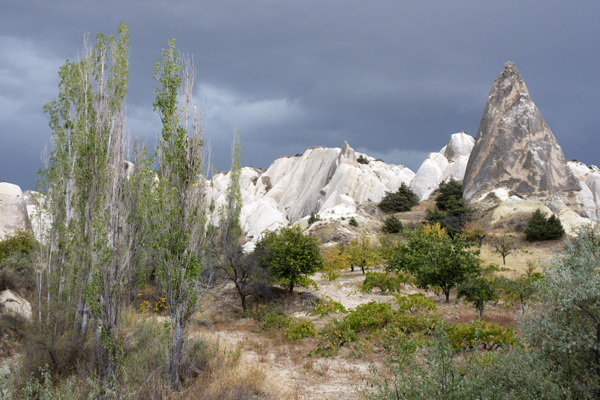 Göreme is the most popular town to stay in, although we chose to stay in Uchisar as it’s a bit quieter. There’s a huge variety of accommodation in the area to suit every budget, from hostels to high-end hotels. We stayed at the Taskonaklar Hotel, which I’d recommend. Being woken up ridiculously early by the call to prayer is a problem in some hotels, but thankfully not this one, and the rooms were bright and spacious. They serve an amazing set breakfast, although it’s the same every day, which can get a bit boring after more than two days. The restaurant serves lunch and evening meals, but although the food isn’t bad, there’s far better on offer in nearby restaurants. We ate in the neighbouring Argos hotel one night and it was superb. We visited in early October and had temperatures of around 20 degrees Celsius during the day. There were a few cool mornings where you needed a coat, but it was shorts and T-shirt weather most of the time. On two of the nights we had epic thunder and lightning, which was a real treat! The autumn colours also looked fantastic at this time of year. 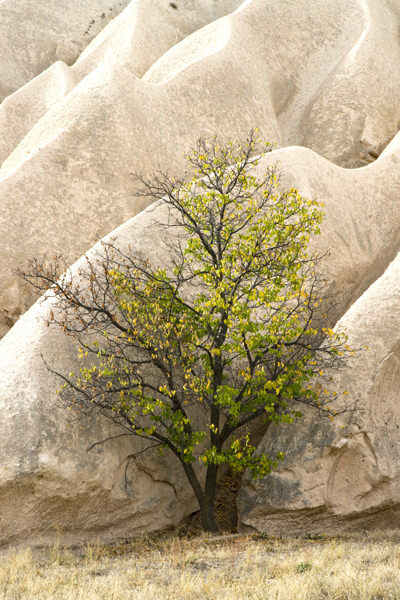 Cappadocia gets very hot at the height of summer, so unless you love the heat, spring and autumn are the best times to go. It is a year-round destination though, so you can visit in the winter. 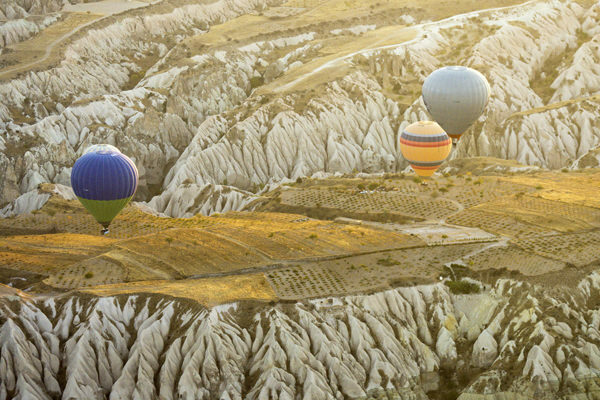 They do get snow in Cappadocia and the balloons also fly at sunset as well as sunrise. I spent 4 full days there, which felt about right. Many tourists only visit for a day, but it’s a huge area with a lot to offer, so I’d recommend at least 2 days. If you’re a keen walker you could easily fill a week here. 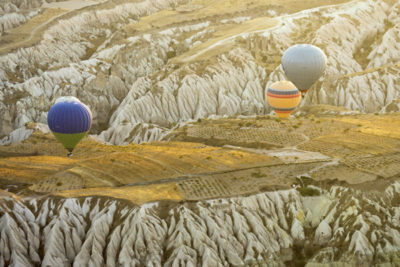 There are a lot of balloon companies in Cappadocia and it can be really hard to decide who to fly with. After doing a bit of research we chose Voyager Balloons and would highly recommend them. The pilot (Hakan) spoke flawless english, went through all the expected safety briefings and was obviously a highly skilled pilot (they joke they have “no control” over where we go, but the precision was truly amazing). We opted for their “comfort flight”, which costs a bit extra but means you have a bit more room in the basket. We took the 1 hour flight, but if your budget allows I’d definitely go for the 1.5 hour flight. Some companies have 2 flights each morning – one before sunrise (so you’re already up when the Sun rises) and one at sunrise. I don’t think there’s a huge advantage in choosing one over the other. If you go before sunrise the landscape doesn’t catch the light until halfway through, and if you go at sunrise it’s beautifully lit from the start, but the warm light doesn’t last for the whole flight. 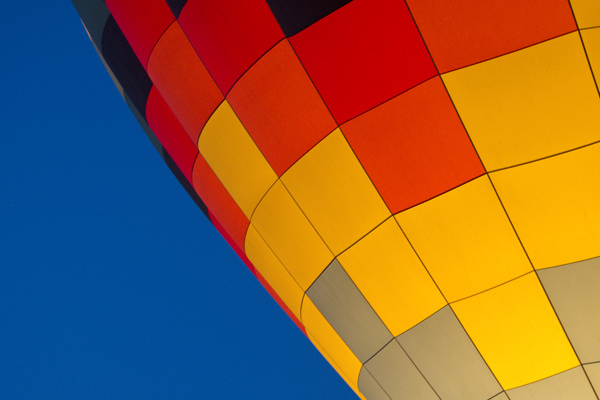 Book your flight for the first morning you’re there – bad weather can ground the balloons, so if you’re unlucky you can try again the next day. Expect to pay around €150 per person. There are plenty of guided tours on offer in Cappadocia. The most popular follow the same routes and are colour coded – the red tour, the green tour and the blue tour. These are a cost effective way of seeing the sights (around €35 per person), but don’t allow any flexibility. At the other end of the spectrum are private tours – you get a driver and an english-speaking guide for the day. They will pick you up from the hotel, take you round the sights at your own pace and drop you off at your hotel at the end. Prices vary, but expect at least €100 per person. We went for the middle ground and hired a taxi driver (organised through our hotel). This cost 400TL (£60) for the best part of a day, although the cost seemed to be dependent on distance rather than time, so have an idea of where you want to go before enquiring about a price. Thankfully our driver spoke a little english, and we muddled through by pointing at a map to show him where we wanted to go. The driver took us to various places and waited as long as we liked, which was perfect. He did have a tendency to take us to random spots on the way to our main destination where he claimed there was a “good photo”, but we did find a few gems doing this that we wouldn’t have found otherwise. All part of the fun. Alternatively, you could hire a car for as little as €30 per day. I’d rate the driving in Cappadocia as moderate – not as bad as Italy, but still quite interesting. Also, some of the viewpoints are down gravel tracks and aren’t signposted (like the Love Valley viewpoint) – you’d easily miss it if you didn’t know exactly where you were going.